One of the things I love about the weekly post: I get to see all sorts of things that I wold probably never get to see in real life 🙂 Thanks for posting. I agree with supersnails, it is probably something that I will not see too. Thanks for sharing. 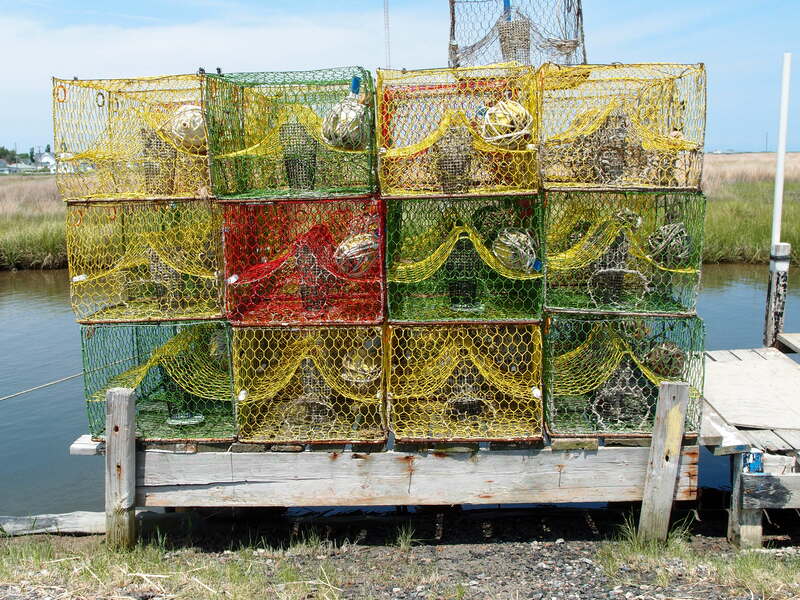 Yeah, we saw stacks and stacks of crab pots all over the place and those were all just a plain grey metal color. This stack was just different with the multiple colors. Was really glad Deb caught these. I love the shapes & textures of baskets like this. Never seen them in colour before though!